Asia House’s magnificent London headquarters, just north of Oxford Street, will transform into a bustling souk-like bazaar from 19 to 22 March 2015. The annual Asia House Fair is a unique three-day shopping extravaganza giving people the chance to buy unique and unusual gifts not normally seen on the high street. The Asia House Fair will take place at 63 New Cavendish Street, London W1G 7LP. The nearest tubes are Oxford Circus, Regent’s Park, Great Portland Street and Bond Street. Embrace the century of Asia at the Asia House Spring Fair 2015. Come and shop for unique handicrafts, textiles, jewellery, homeware, clothes, accessories, gifts, art and food from different regions of Asia at our hugely popular annual Fair, which is now in its seventh year. Asia House’s magnificent London headquarters, just north of Oxford Street, will transform into a bustling souk-like bazaar from 19 to 22 March 2015. The annual Asia House Fair is a unique three-day shopping extravaganza giving people the chance to buy unique and unusual gifts not normally seen on the high street. The Fair will feature more than 30 exhibitors from across Asia and the Middle East, selling a dazzling array of the best and most exquisite items in fashion, furniture, ornaments, screen-printed fabrics, books, design and accessories. Original and ethically-sourced items on sale this year include vintage kimonos from Japan; beautifully crafted paper products, accessories, bedspreads and scarves from across the region; throws, jewellery, quilts, cushions, linen, tablecloths, kaftan tops, velvet jackets and bags from India; beautiful hand-embroidered bed covers, cushions and throws from Bangladesh; steel Japanese bonsai tools and nail nippers; handwoven scarves from Laos; Pakistani embroidered cushions; antique textiles, bedspreads, tablecloths, jackets and bags from Rajasthan; suzanis (Uzbek embroideries); hand-made shoes, bags and rugs from Turkey and cotton and velvet coats from Turkmenistan. 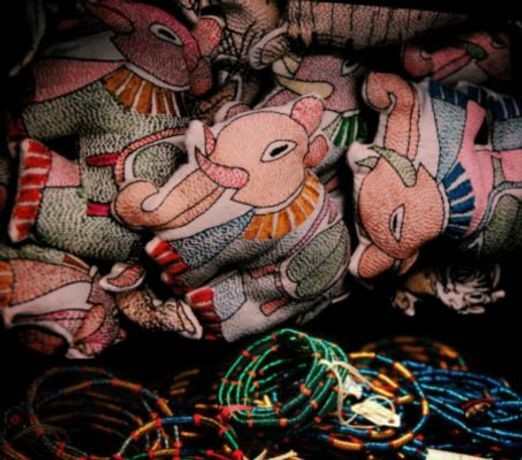 Many of the stallholders have a unique story to tell about the communities they source their products from. It’s also not just about shopping, it’s an entire day out! London caterer Paul Bloomfield will serve a range of snacks, cakes and refreshments to shoppers in our first ever pop-up café in the Asia House Gallery throughout the Fair’s duration. Stallholders and the organiser of the Fair are available for interview. For more information contact Charlotte Crowder-Cattier at charlotte.crowder-cattier@asiahouse.co.uk or telephone 0207 307 5450. Asia House is a centre of expertise on Asia. Our mission is to bring the UK and Asia closer through business, policy & politics, & arts and learning events.